In recent years, Mr. Cohler has teamed up with multiple-award-winning Lithuanian pianist Rasa Vitkauskaite to form today's leading clarinet-piano duo, which is featured in three recent recordings: American Tribute, Romanza, and Rhapsodie Française. Another recent CD, Jonathan Cohler & Claremont Trio, features the award winning Claremont Trio, and his newest CD Cohler plays & conducts Weber (released August 2016) features Mr. Cohler with the world renowned Franz Liszt Chamber Orchestra from Budapest, Hungary. A highly acclaimed recording artist, his recordings have received numerous accolades and awards including nomination for the INDIE Award, the Outstanding Recording mark of the American Record Guide, BBC Music Magazine’s Best CDs of The Year selection, and top ratings from magazines, radio stations, and record guides worldwide including Penguin Guide, BBC Music Magazine, MusicWeb International, and Listener Magazine, which wrote, “Cohler possesses such musical integrity and taste that everything he touches seems like the last word”. Gramophone lauded Mr. Cohler’s expression of “the poetry that lesser artists miss.” Fanfare Magazine featured his Weber CD on its cover praising his “extraordinary musical intelligence and technical wizardy” and dubbing his playing as “supernatural” while it hailed American Tribute as, “one of the best clarinet CDs to come along in some time” and they ranked his recording of the Brahms and Beethoven trios (Jonathan Cohler & Claremont Trio) the all-time best: “I know of no finer recording of the Beethoven, and this one stands with the best classic versions of the Brahms.” Rhapsodie Française was chosen as Best of the Year by the Buffalo/Toronto classical station 94.5 WNED alongside two CDs featuring legendary artists Pierre Fournier, Mstislav Rostropovitch, Leonid Kogan, and Emil Gilels. Mr. Cohler’s maintains a busy international schedule that takes him around the Globe to cities in the United States, Italy, Poland, Spain, Argentina, Brazil, Hungary, Belgium, Spain, Canada, Europe, Japan, Taiwan, China, Venezuela, Chile, Peru, Mexico and Cuba. He has performed at many festivals including those of Tanglewood, Aspen, Domaine Forget (Canada), Campos do Jordao (Brazil), Xativa (Spain), Arezzo (Italy), Rockport, Newport, Martha’s Vineyard and the Hamptons. He has been featured on the prestigious Dame Myra Hess Memorial Concert Series in Chicago, and he has been a frequently invited performer, adjudicator, and clinician at the International Clarinet Association’s annual ClarinetFest and many other clarinet festivals around the world. In addition to holding several honorary positions, Mr. Cohler has been invited to teach as guest faculty at conservatories, universities and festivals around the world such as Eastman School of Music, Cleveland Institute of Music, Harvard University, Central Conservatory in Beijing, National Conservatory of Music in Mexico, and University of Chile, to name a few. 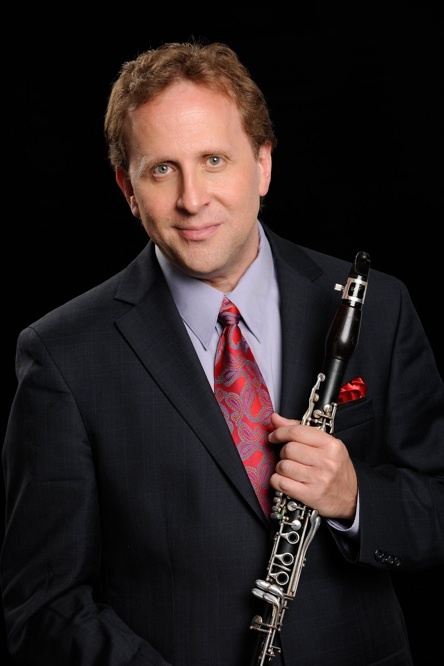 Mr. Cohler is the Music Director of the Massachusetts Philharmonic Orchestra, and founder and director of Chamber Music Boston, the Boston Clarinet Academy, and the International Woodwind Festival. He is also in demand as a guest conductor around the world with orchestras such as the Simon Bolivar Orchestra of Caracas, Venezuela. Mr. Cohler’s clarinet teachers include legendary Boston Symphony Orchestra clarinetist Pasquale Cardillo, Harold Wright, Karl Leister, Charles Neidich and Frank Martin. He graduated with high honors in physics from Harvard University. He is Professor of Clarinet and Chamber music at the Longy School of Music of Bard College in Cambridge, Massachusetts.